Music Conferences today have become big business for the individuals and companies that put them on. Almost every conference created has an educational component, a seminar, panel discussion or technical workshop. Here lays the problem, why pay good money to come to a conference with positive seminars and not attend? Every conference I have attended in the United States this year has had more night time attendees for parties and performances than daytime seminar attendees. In Europe it is the complete opposite. Conference attendees come for business during the day in droves. Panels are packed and private meetings are scheduled. Let me give you a few ideas on how to become more productive at your next conference. Research Your Conference – Know who is going to be at the event you will be attending. Read the Schedule in advance and determine who you want to meet and WHY you want to meet them. Schedule Meetings – Try and reach companies, executives, publicists and other artists prior to the event and schedule private meeting times to discuss your MUTUAL interests. Email works when used properly for communication, so Please spell correctly. Speak Correctly – Leave the urban street based conversations at home. This is a business and professionals will be attending and speaking on the seminars. Lose the phrase “You know what I mean?” and the phrase “You feel me?” Say what you mean upfront and be prepared to explain yourself. The way you speak in the “trap” is not going to get you anywhere in the entertainment BUSINESS environment. Take a Shower – Partying the night before is NOT an excuse to have bad breath or body odor. Make the effort to bathe BEFORE you come to the seminar. You never know who you will be standing next to. By the way dousing yourself in perfume or cologne is NOT bathing. Be on Time, awake, attentive and prepared – Walking into seminar fashionably late shows disrespect for the other attendees and to the seminar speakers. It also says that maybe a professional does not want to work with you because you didn’t think enough of their time to hear them from the very beginning. Take notes - Just like you were back in school. This is how you remember some of the information that will be disseminated. Plus this is how you can keep names and numbers straight, while you write down any questions you may have. Receive Business Cards – When you give a card, receive a card. Take the card in both of your hands if possible; read it before you put it away. This business card is the beginning of your entertainment industry database, treat it with esteem. Carry a Camera – Take photos of the panelists to help you remember who was who. And take as many photos with other people as you can. Email them back to the person and use this as a starting point for a great business relationship. Be Polite and Courteous – You want and need to advance your career, the worst thing you can do is to disrespect and upset a professional. This means NOT telling a DJ off for not playing your music. DJ’s TALK TO EACH OTHER and so do distributors, store buyers, publicists, record exec’s, club owners and almost everyone else that is a professional. Follow Up – email, telephone, regular mail and do ALL of these things consistently. It is true that the squeaky wheel gets the oil. Have An Online Presentation – FaceBook is good for starters however you do need your own website that allows viewers to find out more about you and your talent. You should also create MP3’s of your material for sending and for downloading. If you have a visual talent, create video for web usage. HONESTY IS THE BEST POLICY – Normally people don’t think that being honest rates high within the entertainment industry, however based on how small this industry is and the ability to communicate at light speed, telling someone a lie can backfire on you very quickly. RETURN PHONE CALLS – The ability to communicate over the phone has been taken for granted and current industry relations are being held over the impersonal Internet. Phone calls may only take a few moments, but can create a lifetime worth of good will. SHAKE HANDS – The very best way to conduct business is to physically meet your client and “press the flesh”. The entertainment industry was built upon artists and managers going from one venue to another making fans and personally visiting stores. GOSSIP IS POISON - It maybe true that you’re ex business partner stole your money, cheated with your secretary and demolished your accounts. Telling other people about it will only bring your personal relationship down and hurt your future business. LET GO TO ADVANCE – Many times I have heard potentially good artists say that they would have signed a deal but the company wanted too much of their potential earnings. They never sign with anyone, but always say that their material is better than anything else on the market. Holding tight to nothing will only bring you back a zero return. Your imagined importance will never get you a large paycheck only more imagined importance. NETWORKING WORKS – Get out, meet people, stay in touch with them and make friends. Remember that friends do business together, strangers don’t. COMMUNICATE, COMMUNICATE, COMMUNICATE – The recent growth in the amount of publicists is a direct reflection on the need of artist’s, labels, companies and others to have communication with their fan base. You must stay in touch with the people that want to buy your products and services. Use every means necessary and available to let your customer know that you care about them and value them. On January 5, 2013 I was invited to be an industry professional in a speed-networking event for the Atlanta entertainment industry and to focus on fashion law. Organized by Allen Johnston, The Music Specialist, it featured over 40 industry professionals from film, television, fashion, and music to offer 5-minute rounds with industry talent to help them put their best foot forward. Although I wasn’t giving a full presentation I did prepare some notes for those who are in the fashion industry and have put them below for your reference. Remember these are here for general educational purposes and do not constitute legal advice. For that you need to make an appointment with an attorney. 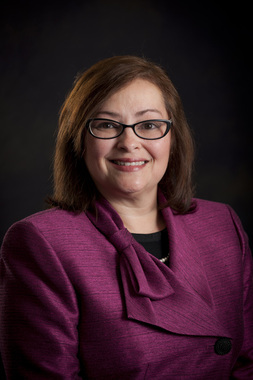 Deborah Gonzalez, Esq. is an intellectual property attorney whose clients are in the creative industries – including art, fashion, film, television, and digital. She knows the laws and the industries. Put her expertise to work for you. Contact her at www.dgonzalezesq.com or dgartlaw@att.net.